BMA Telenatal is a subsidiary of ICT Group. For over a decade, we have been supplying portable CTG devices designed for in-home pregnancy monitoring (self-monitoring). Our goal is to ensure that pregnancies involving potential complications proceed as smoothly as possible, without affecting the quality of the care provided. 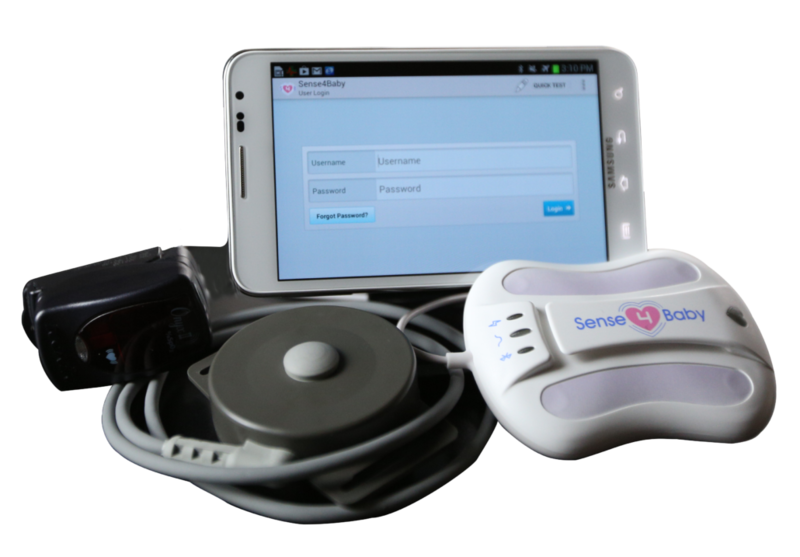 Sense4Baby allows women to self-monitor their pregnancy at home and to transmit the data directly to the hospital. Professional healthcare providers can request and evaluate this data anywhere, anytime. Marco van Elst is the Business Unit Manager responsible for BMA Telenatal. He and his father-in-law were the first to introduce the basic version of the product in the European market. The two of them adapted the technology – which was developed and first launched in the United States – for the European market. Marco was initially concerned mainly with the technology, while his father-in-law focused on the commercial end of the business. As someone whose wife experienced two complicated pregnancies, Marco has a strong personal interest in ensuring that Sense4Baby becomes a success. “I feel every woman deserves a safe and comfortable pregnancy without any stress-inducing hospital visits,” Marco says, explaining his motivation. A mother of two children, Annelies was admitted to hospital during one of her pregnancies due to intrauterine growth restriction. “If I were pregnant now, I would have been able to manage my pregnancy right from the safety of my own home, which is something I would want any pregnant woman to be able to experience,” Annelies says. Silvia van Rooijen is the Account Manager for the Netherlands for both Sense4Baby and Mosos. She regularly gives Sense4Baby demonstrations and handles sales and after-sales for the company. Based on her practical experience in obstetrics, she also has an advisory role in using Sense4Baby for in-home monitoring. “The best part of my job is managing the implementation within the team,” she says. Prior to joining BMA seven and a half years ago, Silvia worked for many years in the maternity unit at UMC Utrecht. She is passionate about obstetrics and client satisfaction with products and services are her number-one priority. After Silvia suffered a stillbirth during her second pregnancy, she felt a strong need for reassurance that her baby was alive during her third and fourth pregnancies. She feels Sense4Baby would have been able to fulfil this need perfectly had she had access to the device at the time. As the company’s Business Development Manager, Martine Kerkhof is responsible for raising the visibility of Sense4Baby. She has 12 years of experience in the sales and marketing of medical devices, and was previously involved with Telenatal some years ago. Her father and her brother-in-law, Marco van Elst, originally imported the basic version of Sense4Baby into the European market. Telenatal was still a small family business at the time, with Martine being responsible for sales. She parted ways with the company after the merger with BMA, but now that demand for Sense4Baby is growing, she has decided to return to the fold. “I am delighted that I am able to use all the experience I acquired in the medical world in a field that is so close to my heart,” she says about her return. Martine is mother to a son who was born after a smooth and healthy pregnancy.